Recently I purchased an Astronomik CLS broadband filter. This filter cuts out the major man-made light frequencies, and allowing the all important hydrogen alpha and Oxygen (OIII) lines to pass. Gerd's Astronomik website gives full details on these filters. The main reason I purchased this filter was to make it possible to image some of the fainter emission nebula from my observatory. My light pollution situation is not dreadful, but could always use some help. I have quickly discovered that these filters require much longer exposures with my SC3 camera - pushing my autoguiding towards its limits. I have had some success with certain objects. A good example is the Elephant trunk nebula. Before the CLS filter it was not possible for me to image this object. The CLS filter is not as "extreme" as using small FWHM emission line filters. Many imagers have success using narrow emission line filters during periods of moonlight. So, naturally, I was curious to see what would happen if I imaged during bright moonlight using the Astronomic CLS filter. 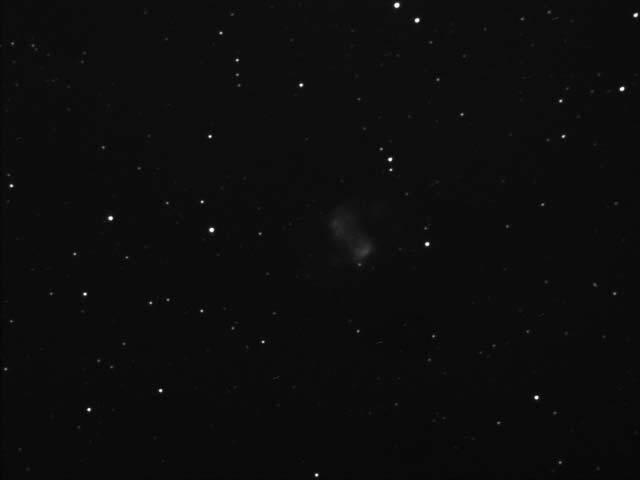 One of the more underrated Messier objects, M76 - The Cork Nebula is a medium sized (3 arc minutes) planetary nebula in Perseus. I am rather fond of this object. 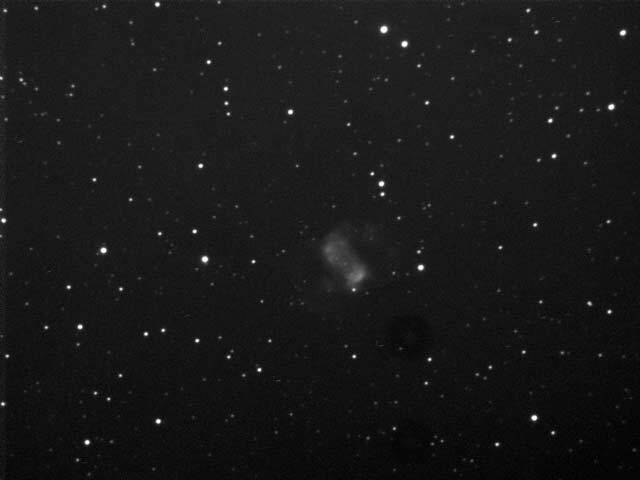 Over a year ago, my first ever LRGB image with colour filters and a black and white SC3 modified webcam was of M76. See this result here. That was taken on a particularly good night! A few nights ago, it was very clear and transparent, but a bright (0.942) Moon graced the skies, and ruined any decent imaging attempts. So I decided to do a short comparison with and without the CLS filter. All the images are taken with the same camera settings. Medium gain and exposure length noted below. For the first two images I have included the histogram. Click on the image thumbnail for the full sized image. Looking at the two 30s images, we can see that the CLS image background is much darker than without the filter. However, the nebula itself seems darker. 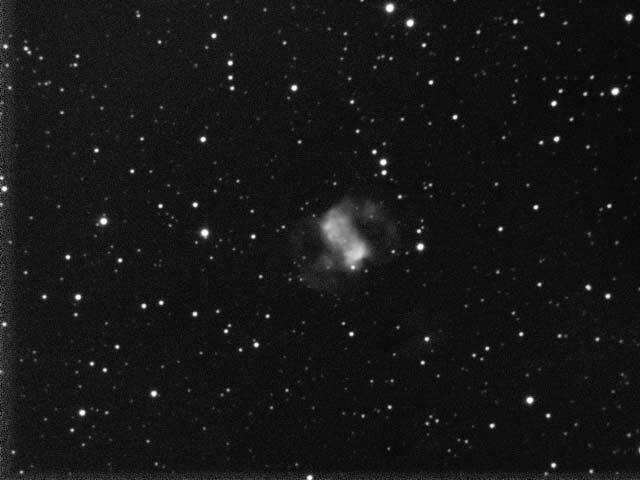 I do not understand this, as I expected all the light from the planetary nebula to be passed by the CLS filter. However, the advantage of the filter shows up in the longer exposures. These exposures would not be possible without the filter - the sensor would be swamped by moonlight. On the stretched version of the "no filter" image we can see a strong gradient of moonlight. 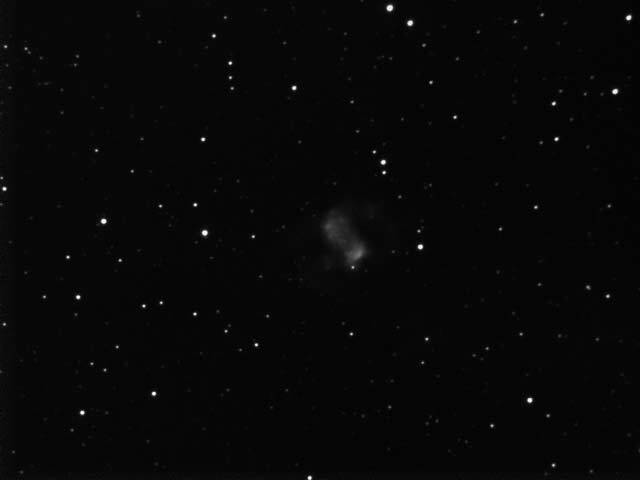 The filtered image, with nearly twice the exposure, has a much brighter nebula and a darker background. Of course, some if this is an artifact of my processing, but gives a good indication. This is only one test on one object - so it is not perhaps statistically relevent. ;-) Maybe one day I will try this again when I have a clear night with a bright moon! It is certainly worth experimenting with this "poor mans narrowband" filter on modified webcams during bright moonlight. However, it requires longer exposures, which of course means better tracking and guiding.